this is the first doomsday production ever. at this time doomsday wasn't intended to go on under this name. an OK intro, with some nice effects. good debut. Nice, simple old stuff. 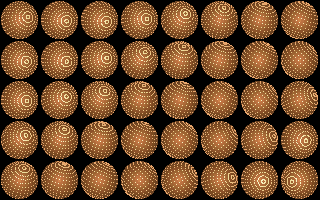 Dots, plasma, and some fractals. I liked the music so I ripped/converted it. It's definitely a different feeling than the more modern DSD stuff. It's a lot like Beyond Force's Asm 93 intro on Amiga, if you want to compare. i used to like it! Great intro! Really cool soundtrack and some neat effects. Heh, first production by doomsday. Not bad. page created in 0.020862 seconds with 15 queries.